One of the bigger surprises of Basel was Seiko’s announcement of their high-end Prospex LX collection — big, chunky sports watches that feature a level of fit and finish we’ve seldom seen on a Seiko-labelled watch. 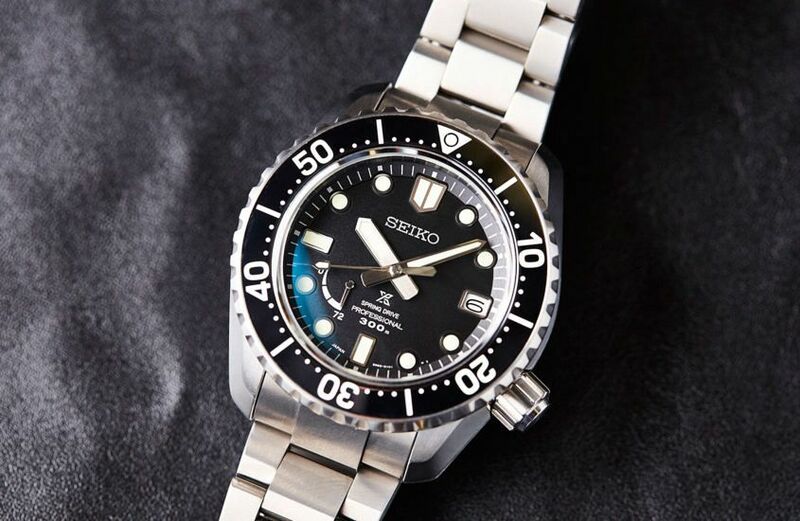 And while the initial collection was a drop of six models, the one that we were most interested in, and — I suspect — the most crowd-pleasing number is the SNR029J1, a straight-up-and-down diver — inspired, to no small degree, by the classic Marinemaster 300. If the look is a 2019 update on a tried-and-tested model, the same can be said for the build. It’s a big, sporty watch, with a peerlessly finished titanium case (that zaratsu! ), ceramic bezel and the mighty Spring Drive inside. With the high-end finishes and movement comes a higher price point. The Prospex LX family is designed to go toe-to-toe with the biggest Swiss brands’ mainstream sports offerings. Only time will tell if Seiko can succeed in their mission.